The 5k road race around the village of Craughwell. The tan-coloured Volvo estate nudged its way tentatively in the drizzle through the crowd on the boreen. "Who are these people?" exclaimed the driver. "Oh they're probably just a harmless bunch of athletes dear," replied his wife. hour. Roll up the windows, Ethel. It's the druids." 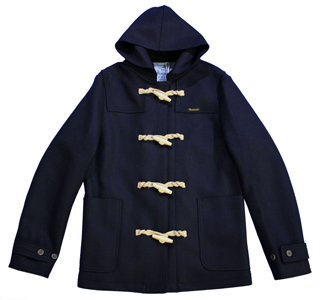 Now, I wonder if I need the duffle coat....it is a bit drizzly..... might leave it on. I'll keep easing myself into it gently for the next few kilometres and then pick up the pace in the fifth. Oh there goes someone past me.... 'Little impetuous, mister!' We'll be seeing you again, puking up before the end of the race. Oh, here come another two lads. 'Better pace yourselves, men!' Hey! That looked like another four. 'Save some for the finish, guys!'" But as wave after wave of runners breezed past him, his confidence began to wilt. And if their ignoring his witty rejoinders was bad enough, worse was to come. "Come on old timer, keep it up". "No you don't understand..." he wheezed... "don't need sympathy... got a bit of a twinge... injured in altitude training..." he trailed off. Straining and coughing, his mind wandering in and out of lucidity, he battled his way up the gentle incline, barely registering the large sign displaying the number 3. "This is unreal"....pant... "What eejit designed this course?"... wheeze... "It can't be up to OCI standards" ... pant... "Three. Three bushes. Three cows." He stopped. "No it can't be. Not three kilometres... not after all this time..." It was some minutes before he picked himself, sobbing, up off the tarmac. Mercifully, there was nobody left in the twilight to witness the lone figure dragging a blue duffle coat over the finish line. There was just a note pinned to a stick to say "Please fill in your finishing time and post directly to Beijing". He was so wet that he scarcely noticed the contents of a roadside puddle splash over him as a tan-coloured Volvo estate sped hastily past in the direction of Galway city.